This entry was posted in Running & Cycling and tagged 50, cups, fitness, Kona, litter, marathon, pacing, race, RunBikeThrow, Running, trash, water stations, Wicked Halloween run. Bookmark the permalink. Glad someone is addressing and blogging about this. I’ve voted for the top option. 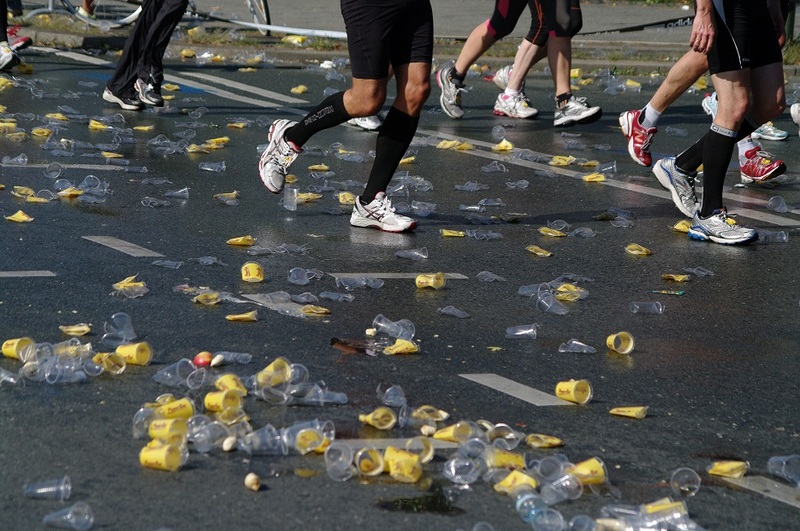 I think that, seeing these racers discarding their litter in this way on TV is encouraging a lot of runners and cyclists to act the same way when they’re not in an organised event but just out training. Our local area is becoming very litter-strewn recently and it’s nearly all plastic water bottles and gel sachets! Your timing is amazing! 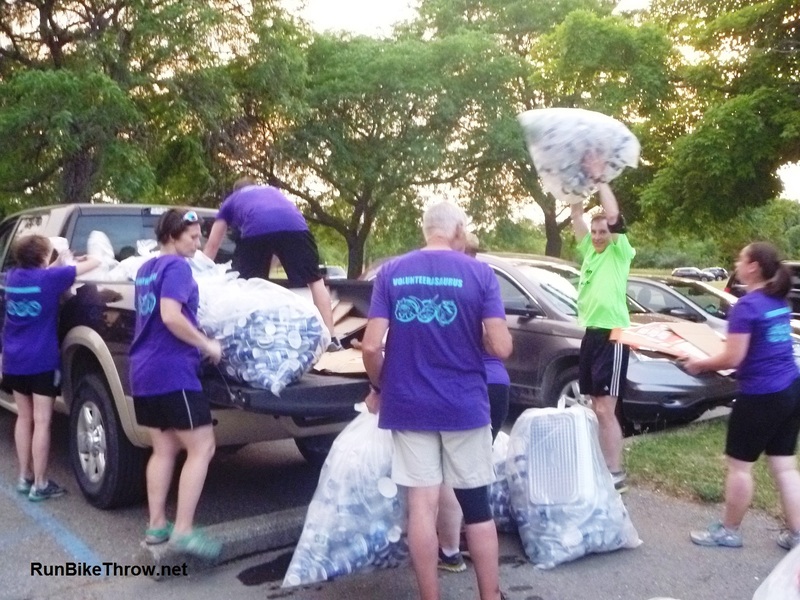 My local running events company has started a Zero Waste program and I am heading up the effort. 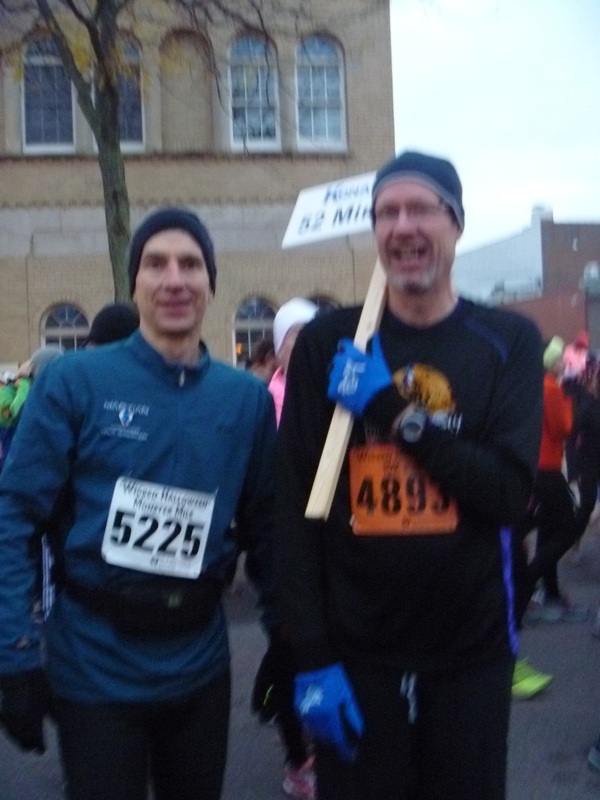 We just completed our inaugural ZW event – Trail Marathon Weekend in Michigan. I have some great results to share with my readers. Post coming soon! Pingback: You Take It With You, You Bring It Back. | It's all downhill from here......hopefully! I feel so guilty throwing bottles and cups after a water station. It’s a bit tricky, but I think as long as you aim to throw them in one place, ideally off the actual track, then it’s OK. Didn’t like to see someone throwing a gel pack on the floor at 3k on a recent 10k, where nobody would be able to clear it away. If they can carry a full pack till then, surely they can carry an empty pack to the end? ?